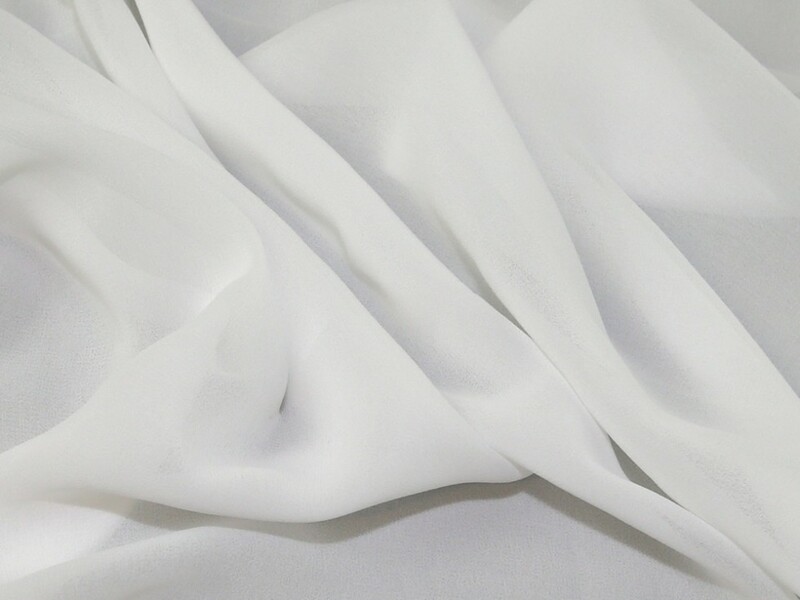 This gorgeous chiffon fabric is beautifully soft and delicate. It has a wonderful drape and hangs really well. This fabric can be used for sewing into scarves, wraps and accessories. It can also be used to sew into tops and blouses and if you chose to line it, even skirts and dresses. We also think it would be gorgeous made into drapes and window decoration for the home.